Before we delve into how natural and artificial flavors affect labeling, let’s look at the difference between the two. The FDA considers a natural flavor to be an additive to a product, “which contains the flavoring constituents derived from a spice, fruit or fruit juice, vegetable or vegetable juice, edible yeast, herb, bark, bud, root, leaf or similar plant material, meat, seafood, poultry, eggs, dairy products, or fermentation products thereof, whose significant function in food is flavoring rather than nutritional.” So, natural flavors generally come from plant or animal sources, such as the natural strawberry flavor for a yogurt. Conversely, any substance used to flavor a product that is not derived from one of the sources listed in the natural flavors definition is considered an artificial flavor by the FDA. Natural Type Flavors: A natural type flavor is comprised of natural flavors extracted from foods other than the characterizing flavor in the product. In this case, if the strawberry yogurt does not contain actual strawberries and the source of the natural flavor used is not a strawberry, the name of the product must be “Artificially Flavored Strawberry Yogurt.” In order to use the word “natural,” the product must be labeled with the flavor of the food from which the natural flavor is derived. Natural & Artificial Flavors: Your recipe may include both a natural flavor derived from a strawberry and artificial flavors. In this case, the yogurt must be labeled “Naturally & Artificially Flavored Strawberry Yogurt”. US Code of Federal Regulation 21 CFR 101.22 states that this flavoring language, such as “Flavored,” “Naturally Flavored,” “Artificially Flavored,” etc., is required to be declared with the characterizing flavor wherever it appears on the food label without any intervening material. The flavoring language must immediately precede or follow the common name of the food on the label and must be in letters that are no less than half of the type size used in the name of the characterizing flavor. Are you unsure of which flavoring language to use on your product’s label? Mérieux NutriSciences’ expert Labeling Compliance & Nutrition Services team can help! Our experts provide label reviews to ensure you are compliant with all applicable food labeling laws and requirements in your area. If you’d like to reformulate an existing product to use “natural” flavoring language on your label, our sensory team can also help you determine how ingredient and process changes will affect the characteristics of your product. Download our information sheets to explore our sensory and food label review services now! 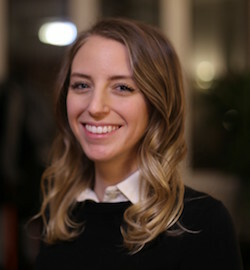 Abbey Stokes is a Regulatory Compliance Specialist in Labeling Compliance & Nutrition Services at Mérieux NutriSciences and is based in Chicago, Illinois. Prior to joining the team in November 2016, she worked for three years in product development for a private label food manufacturer. As part of her team, Abbey conducts food label reviews for clients and helps assist with the on-boarding of new key accounts. She is a graduate of Purdue University with a Bachelors of Science in Food Science.